I have a hernia and I want to know am I fit to dive or do you not recommend it. It is a congenital inguinal hernia on the left side. There's no real problem with diving and this sort of hernia, but the only issue is does it stop you from lifting heavy objects. A hernia is caused by a loop of your bowel pushing through a weakness in the muscle wall of your abdomen. Yours is the commonest one to get, and what has happened is that the track left by your testicle as it descends from your abdomen to your scrotum has been left open. In most people this will close so that the bowel can't get through this "inguinal canal". The problems associated with this are that if you increase the pressure in your abdomen like when trying to use the toilet when you are constipated, sneezing, or when you lift heavy objects, it can pop the bowel out and down towards your scrotum. Of course this is easily treated by a simple keyhole operation if it were to be that bad. So if yours is small and doesn't have any affects on your life then it will be fine to dive, but if lifting causes pain and swelling and making you a liability to your buddy, then go for the op before diving again. The one real problem with a hernia is if it "strangulates". This is when the opening in the muscle wall through which the bowel has popped suddenly closes down on the bowel and cuts off its blood supply. Extreme pain and even gangrene can ensue, so get to your doctor quickly if you feel any pain developing down there. I have been diving for 8 years and have trained through PADI up to advanced plus and also a Advanced Nitrox Diver with IANTD, I am 56 yrs old quite fit and do plenty of exercise. I have had a Hiatus hernia for some years and recently went through my private medical insurance to see how it was getting on, as I was having a problem sometimes swallowing and was getting frequent attacks of acid reflux, mainly at night. The specialist told me after having a camera down my throat that the hernia was quite large, he also said I had ulcers of the stomach and put me on a double dose of anti-biotics ( Heliclear ) for one week. I have completed that treatment. I am now on tablets to ease the acid reflux and help with my digestion. They are one 40mg tablet of omeprazole per day and two 10mg tablets of metoclopramide per day. I am fairly fit for my age and have dived Scapa flow several times and this year dove in the Shetland Isles. I frequently dive around the coast of North Wales and Anglesey. My question is am I safe to dive on this medication and if yes are there any restrictions? The problems with a hiatus hernia and gastric acid reflux are well known in diving. Picture the scene. You are finning along with your weight belt pulled tight across your tummy. You dip down to look at the reef, and the acid ascends up your oesophagus into the back of your mouth. A cough, an inhalation, and lo, the acid now descends into your trachea. Your bronchi then go into spasm and you can't breath. Not a welcome result at 30metres. But like all things medical there are ranges of this problem. If you still get reflux at the drop of a hat despite the medication, forget diving until you have had an op on the hernia. However if your acid problems are controlled with those tablets and reflux is a rare event then you will be fine to dive. It is also worth using integrated BCD or tank weights to stop any excess pressure on your abdomen. Lay off spicy food and try to lose as much weight as you can, as this can make the problem worse. I have just been diagnosed by my doctor here in Japan as having a "minor inguinal hernia on the right". He said that I don't require surgery as the lump is very small and causes no pain or discomfort. Can you tell me whether I am able to dive with this condition? Or should I ignore this doctor and find someone else who will perform the surgery before I am able to dive again? OK, the first of two questions about hernias, which, like most things in life, are not black and white but come in varying shades. A hernia occurs when an internal organ bulges through a weak area of muscle. Inguinal hernias are found in the groin and are the most frequent, often due to over-exertion and straining (anything from hauling dive tanks around all day to chronic constipation or even prolonged laughing can produce the tell-tale groin lump). All hernias are dangerous, in that every one poses the threat of incarceration (where the bulge becomes trapped), strangulation (entrapment with loss of blood supply), obstruction (blockage of the intestinal flow) and the possibility of death if the obstructed gut perforates. That a hernia should be repaired goes without saying – it is a simple procedure, often done as a day case, where a strong mesh is laid over the weak area of muscle to hold the contents in. An unrepaired hernia should be considered a contra-indication for diving until it is satisfactorily repaired. The diving danger has to do mainly with the effects of pressure on gas inside a loop of intestine. Without repair, a previously asymptomatic hernia can be pushed out through the ring of the hernia and become trapped. If this occurs with the straining and lifting of heavy tanks and gear, and the person then dives to depth, the air in the trapped bowel expands due to the effects of Boyle's law on ascent. This leads to strangulation-obstruction and a requirement for emergency surgery. Getting to a good surgical facility may not be so easily done in some of the places that we go to dive. Returning to diving after hernia surgery should only be after the wound has completely healed, normally at least 6 weeks following the op. Although recurrences are uncommon you have to bear in mind the factors that caused the problem - carrying of heavy dive gear is a major consideration after hernia surgery. I have had a recent endoscopy to investigate stomach troubles and have been diagnosed with a 4cm hiatus hernia. My GP states that laparoscopic (keyhole) surgery will rectify the problem. I would like to know if post surgery I will be able to continue diving. I have researched this matter in depth and there seems to be conflicting opinion. I approached my local diving medical referee, and he was of the opinion I could dive whilst controlling the hernia with PPI's (acid suppressants) BUT stated I would NOT be passed fit to dive post repair. The reason given was that post surgery there was an elevated risk of gastric rupture and due to this my local referee will not pass me fit to dive if I undergo surgery. Could I pick your brains on this one and have your thoughts on the matter. Diving is my primary leisure activity and I should hate to forego it, but equally I do not want to elevate the risks if I have the surgery. 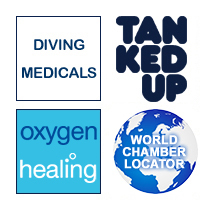 I know of several divers who are diving post surgery for the same complaint. I also know of divers diving with the condition controlling it with PPI's. If I do have the repair would you be able to sign me fit to dive provided the surgery was successful and there were no post op complications? Is it safe to dive post op regarding the gastric rupture risk? Rather than being an obvious groin bulge, a hiatus hernia is a bulge of the upper part of the stomach through the diaphragm, into the chest cavity. The confusion (and thus controversy) arises from the different types of hiatus hernia, and the unpredictability of complications following the surgery. Two main types of hernia are distinguishable, since they have different implications for fitness to dive. By far the most common is the sliding hiatal hernia (95%), where the upper portion of the stomach slides upward into the space occupied by the oesophagus (food pipe). This hernia can cause gastroesophageal reflux (giving you that acid burning in the chest), but it often has no symptoms. The second type (5%), a paraoesophageal or rolling hernia, is a protrusion of the stomach through a separate opening of the diaphragm. If you have significant gastroesophageal reflux then it should be treated before diving (usually with PPI’s), as there is an increased risk of acid reflux and aspiration (inhaling stomach contents) with the horizontal or head-down body position adopted during a dive. But otherwise a sliding hiatal hernia does not by itself contraindicate diving. However, part of the stomach can become trapped within a paraesophageal hiatal hernia, and, during ascent, could rupture. Thus, paraoesophageal hiatal hernia is considered a contraindication to diving. Do you know which type of hernia you have, and the name of the procedure you are going to have? The most common one is called fundoplication, where the surgeon wraps (or “plicates”, a lovely word) the upper part of the stomach (the fundus) around the oesophagus, thus stopping it from moving. A few who have had surgical repair of their hiatal hernia can suffer from gas-bloat syndrome, which is associated with gaseous distension of the stomach. This is believed to occur due to an inability to expel swallowed air by belching. During an ascent, this distension can lead to gastric rupture. The symptom usually resolves within a few weeks. If the distension persists, however, diving is not advised. It would be worth discussing this with the surgeon before deciding one way or the other, as it's difficult to predict who will suffer from this gaseous distension.